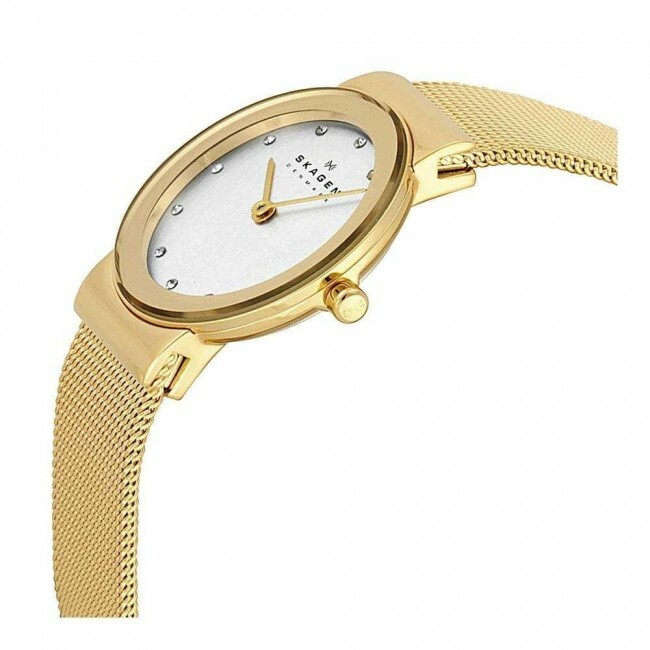 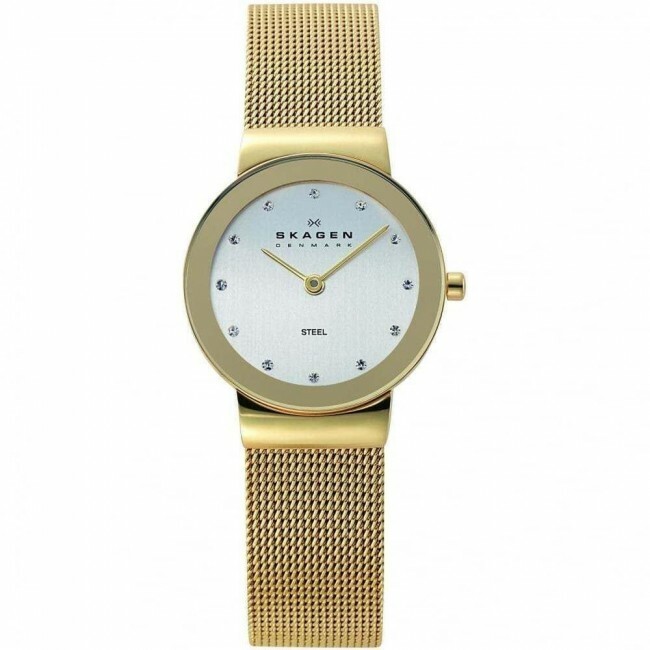 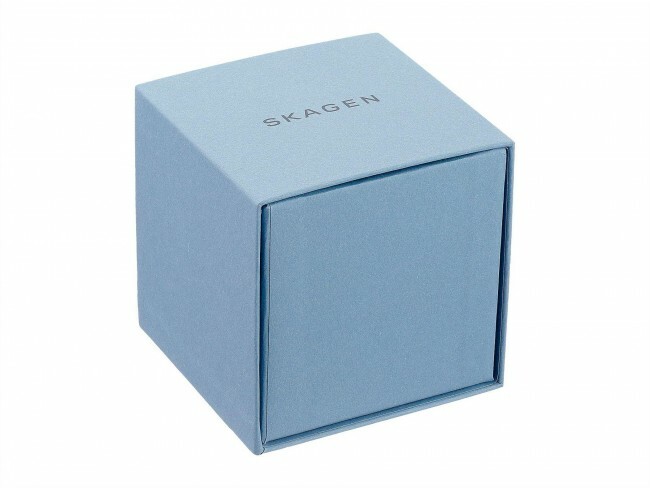 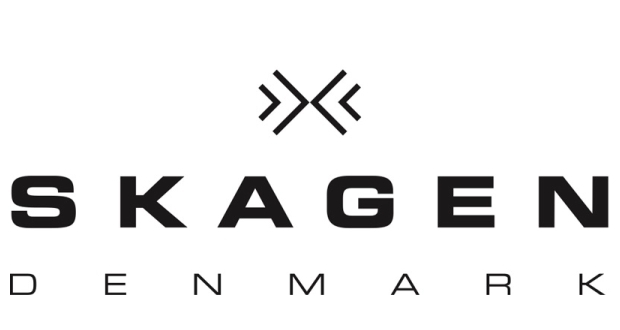 Ladies Skagen watch in elegant PVD gold plating, set around a chic silver dial with gemstone markers and slender gold hands. 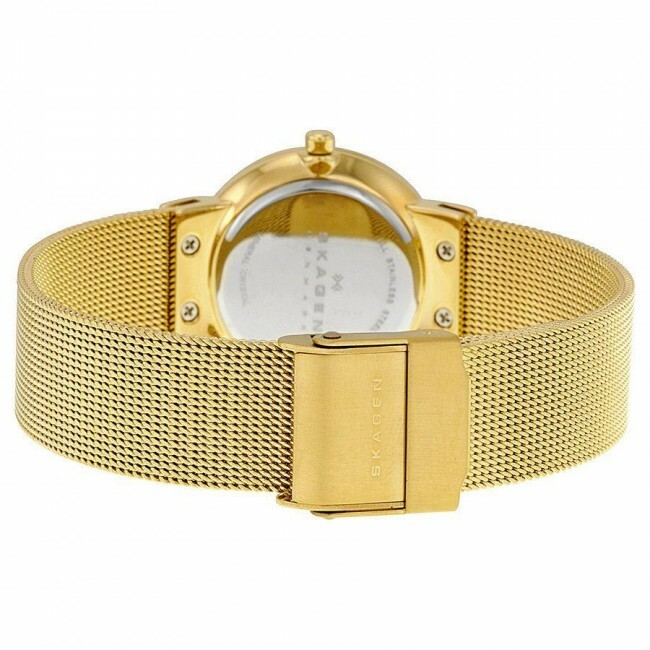 The watch fastens with an elegant gold tone mesh bracelet. 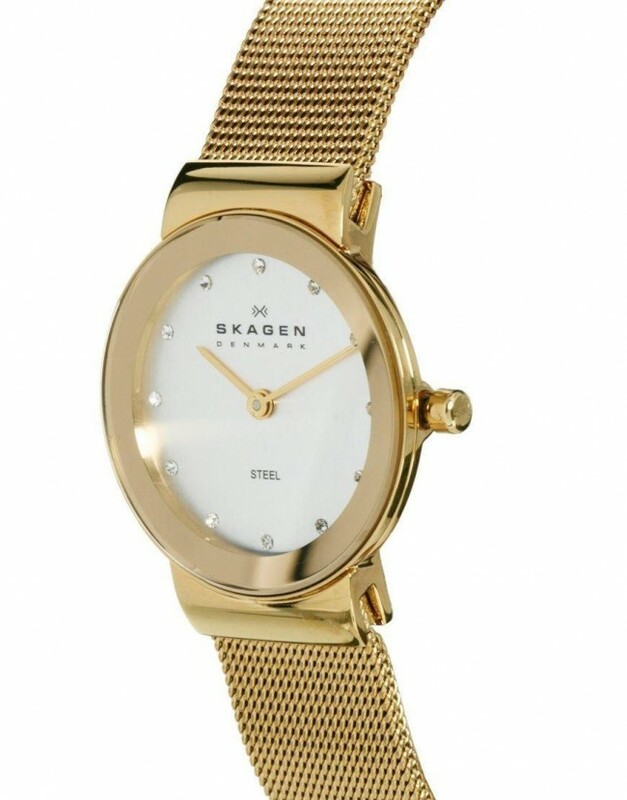 Ladies Skagen watch in elegant PVD gold plating, set around a chic silver dial with gemstone markers and slender gold hands. 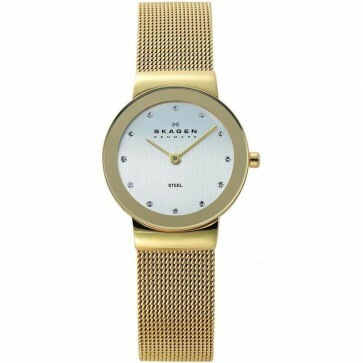 The watch fastens with an elegant gold tone mesh bracelet.